Sherri Belassen, Dream Catcher, Oil on Canvas, 60 × 60 in. 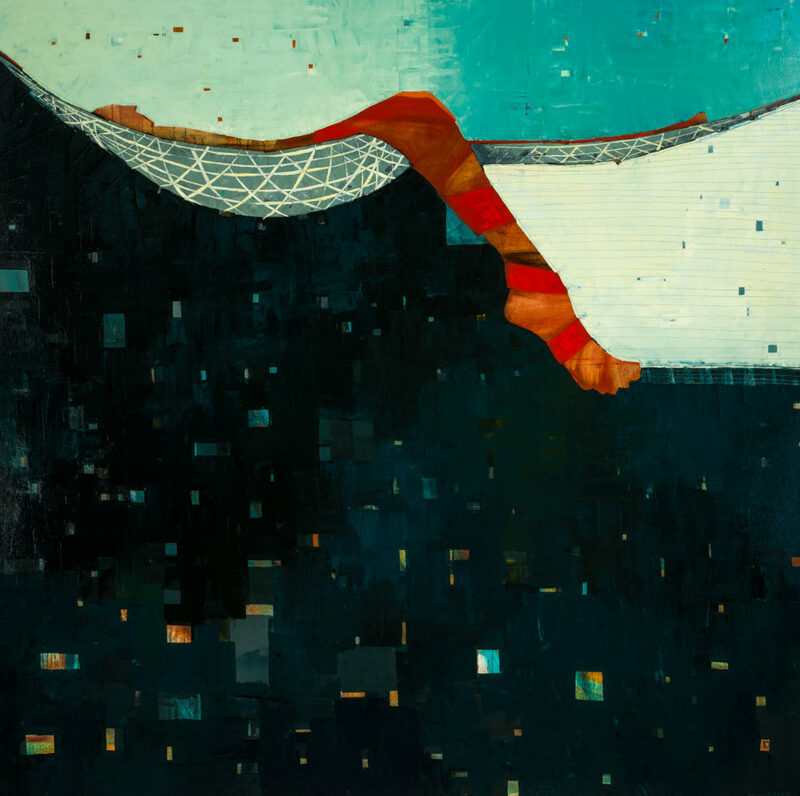 Sherri Belassen’s Dream Catcher illustrates the splendid sensation of sinking into a hammock in the summer. You can feel the weight of the figure suspended in rope through the artist’s use of line, contrasting color and, of course, her signature exaggerated proportions. Her burnt orange and turquoise color palette reflects the warmth of her Arizona home. Belassen creates layers and textures by working with a palette knife and exposing sections of her underpainting. These rectangular shapes float around the canvas like fragments of memories or dreams. To view Sherri Belassen’s work in person, visit the gallery closest to you.